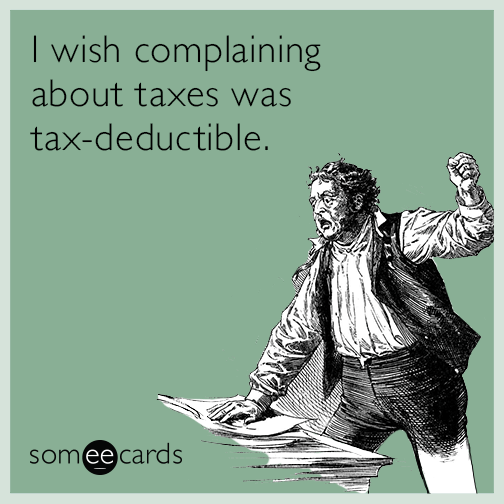 I've been saving up all the amusing things I read or hear about taxes, and, in honor of Tax Day today, will share them with you. 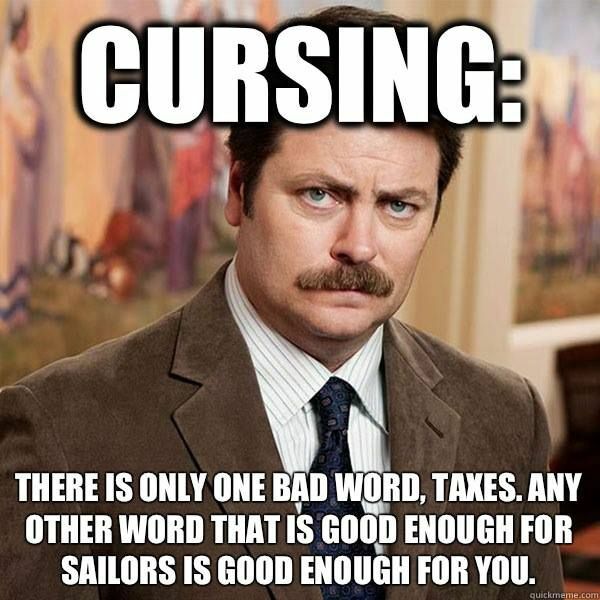 #9 - A Ron Swanson Quote. #8 - This Tweet on extensions. #7 - David Letterman Tax Tips. #4 - NPR's Marketplace investigative journalism on little known tax deductions. #3 - The Onion's investigative journalism on the most overlooked tax credits. 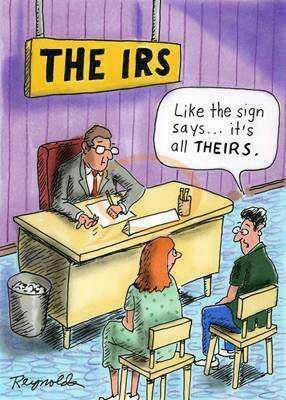 #2 - John Oliver's (and Michael Bolton's) Defense of The IRS - it's a much maligned agency that's just trying to do its job. 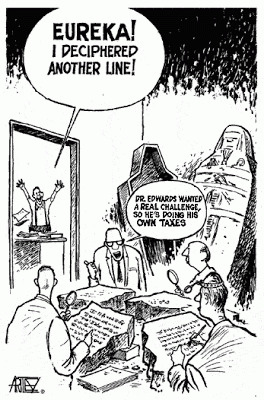 #1 - The poem below, which captures the frustrations of tax season for tax preparers like me. Don’t try to reach me on the phone. Don’t expect me home for dinner. Don’t expect me home this winter. Don’t even try to use your pull. Don’t talk to me or shoot the bull. But until May, my slate is full. I’ll put it in a tax return. And on my chairs and desk are more. I’ve got them coming in the door. That’s all I do — I keep the score. With clients behind before beginning. Their checkbooks show a scarlet hue. I pause a bit … I say, “Absurd! They’ve just extended busy season! I’ll try to write or maybe call. I hope to be home late this fall. Great stuff! I was going to send you that John Oliver bit, but I should have known you'd've already seen it!